Hello Malaysians! 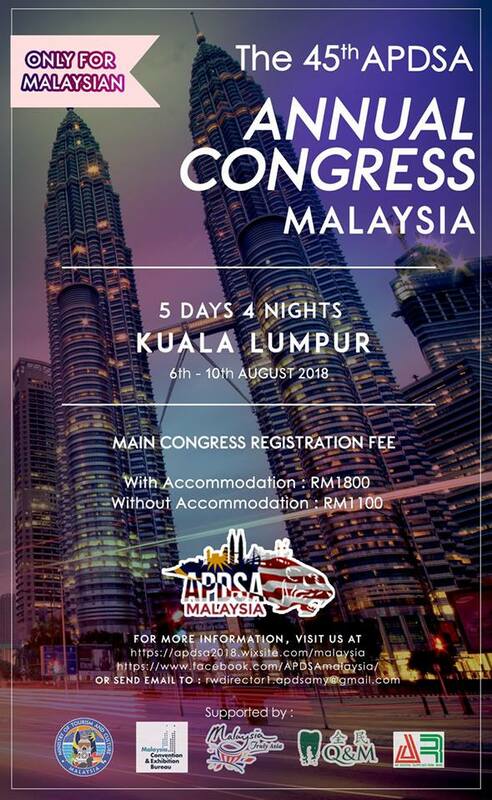 The 45th Asia Pacific Dental Students Association Annual Congress 2018 will be held at home, here in Malaysia! With an exciting array of lectures and workshops, competitions and activities, we’d like to invite you to take this opportunity to be apart of this wonderful experience expanding your horizons and forging friendships across borders! Register now before the seats run out!